I don’t use my London guidebooks anymore. I’ve found a better compass. It was the story which ran in the London Sunday Times, Hot gossip as Pepys and Austen go blogging, which gave me the idea. 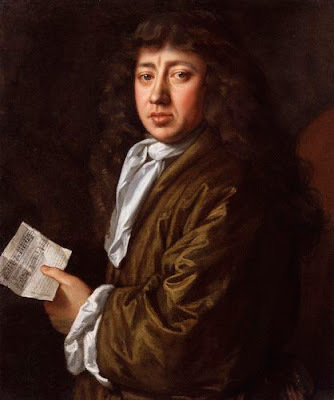 By using http://www.pepysdiary.com/ ,which is an internet presentation of the diaries of Samuel Pepys, the renowned 17th century diarist who lived in London, I would, in the parlance of Twitter, follow Pepys. Every day I receive an email describing what Pepys got up to on the same day in London 300 years ago. Sometimes it’s exciting stuff involving plague, fire and the execution of a king but sometimes it’s about shopping for gloves or philandering at a public house. Some days he’s at the Guildhall on business or Covent Garden for pleasure. Regardless of what Pepys was up to, he lived life large in 17th century London and following Pepys today is tons of fun. For example, on March 12, 1665 Pepys did much business in the Royal Exchange, so on March 12, 2009, I went too. The Royal Exchange gives me that Come Hither look, as does Sicilian Avenue near Holborn. Thanks for the cool heads up on Sam, definitely one of our "peeps."